There’s a lot of talk about smart cities created with IoT technologies as the future of urban living. Transportation, energy, healthcare, water and waste are some of the government sectors looking at integrating information and technology to make the lives of residents better. Yet, while each sensor and IoT application contributes value in its own way, they’re only individual pieces of the vision of what a smart city can bring. Most analysts studying IoT and connected cities predict healthy growth. Gartner predicted that smart cities will use 1.6 billion connected “things” in 2016 alone, and IoT deployment in commercial buildings will reach more than 1 billion in 2018. However, a really smart city goes beyond connected street lights, trash cans and booking a parking space with a smart swipe. When all of these connected apps and their associated data exist in silos, the full value of the potential insight from this data sits, untouched. City planners and CIOs would do well to think of the smart city itself as an infrastructure service platform for building highly interconnected applications. Instead of an application for the water department and another application for the traffic department, applications interact, leverage insights derived from the intersection of the data generated in each vertical, and build on each other’s value. That’s when a loosely connected series of smart vertical applications actually build a smart city. Let’s talk about how a connected city can get smarter and smarter. In the smart cities of the future, the city will provide the primary repository for collected data — therefore it’s the city that will provide a platform on which applications can be created that enhance the life of residents. What’s the advantage? By creating the IoT application creation platform itself and exposing collected data for innovators to build on, the city monetizes its smart city investments by charging for access to valuable data. At the same time, the city is providing a critical technology enabler that will stimulate innovation and enrich the lives of residents. And what city doesn’t want to increase its coffers? Too often smart city initiatives drain city resources instead of replenishing them. To me, a city that makes money as it gets smarter is a truly smart city. Here’s a use case: Traffic management and enforcement data becomes the foundation of an ecosystem of smart city applications to manage congestion, air quality and promote local commerce. Data from one application can be use in a number of different areas in smart cities. Traffic enforcement camera data. Many cities have adopted traffic enforcement cameras with the idea of making potentially dangerous intersections safer. All-seeing automated cameras take photos of vehicles entering an intersection on a red light and then a ticket for the vehicle’s registered owner shows up in the mail. It’s proven to be a successful approach to monitoring high-traffic intersections, reducing injuries and improving traffic flow. A fee for driving a vehicle during highly congested periods is levied in cities such as London and Singapore. You’re not running a red light, but if you do drive in a heavily congested zone of the city during peak traffic times and your car is picked up by the cameras, then you pay a congestion tax. In London, these funds help support the city’s transport system. Park in the preferred parking garage (instead of on the crowded street), and a smart parking app automatically gives a discount on congestion charges. Residents can also receive incentives if they take available public transportation when traffic is anticipated to be heavy (a game or a concert is scheduled), including reduced fees and discounts on attractions. The city wants to promote commerce while still managing congestion. Residents receive discounts on congestion charges in targeted commerce zones — whether it’s parking or dining or shopping — if they choose to drive. What a great way to support local merchants! In a store at the point-of-sale system, a smart retail app can connect to the transportation data and provide discounts if sufficient purchases are made. In an emergency, the best route to safety can be delivered to those within an area. The designated route can take into account real-time traffic patterns to avoid creating more gridlock. Real-time sensor data can warn citizens that are affected by allergens and irritants (according to HIPAA requirements) that air quality in a specified area is at a level that can trigger asthma attacks and congestion discounts can be provided if a resident chooses to drive their low-emission vehicle. These are just a few examples of ways to monetize existing data through an ecosystem of IoT applications. One of the fundamental challenges of the internet of things is that value can be obtained from data only if you can change the culture and processes of working with data to derive full benefit. Cities and companies may collect massive volumes of information, but that doesn’t mean they benefit from it. The most exiting innovation can only begin when those silos are broken down. What makes a smart city? Smart cities use data available from connected devices to benefit their citizens. 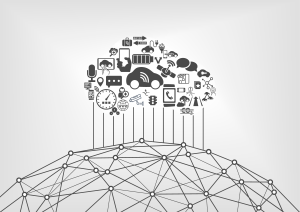 An IoT application (such as traffic enforcement) should be viewed as merely the starting point. Enrichment and monetization of the data is where they journey gets really interesting. 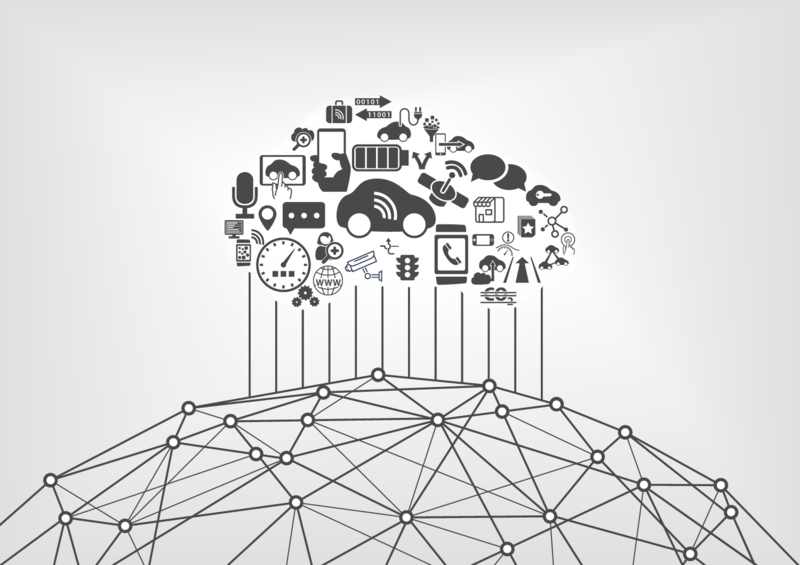 An IoT service creation and enrichment platform is a smart way to build — and monetize — a rich IoT application ecosystem that leverages the massive amounts of data collected by the smart city. The result? Better services and quality of life for its citizens.